Happy almost 2016, my grub-loving friends! I hope 2015 was kind to you. 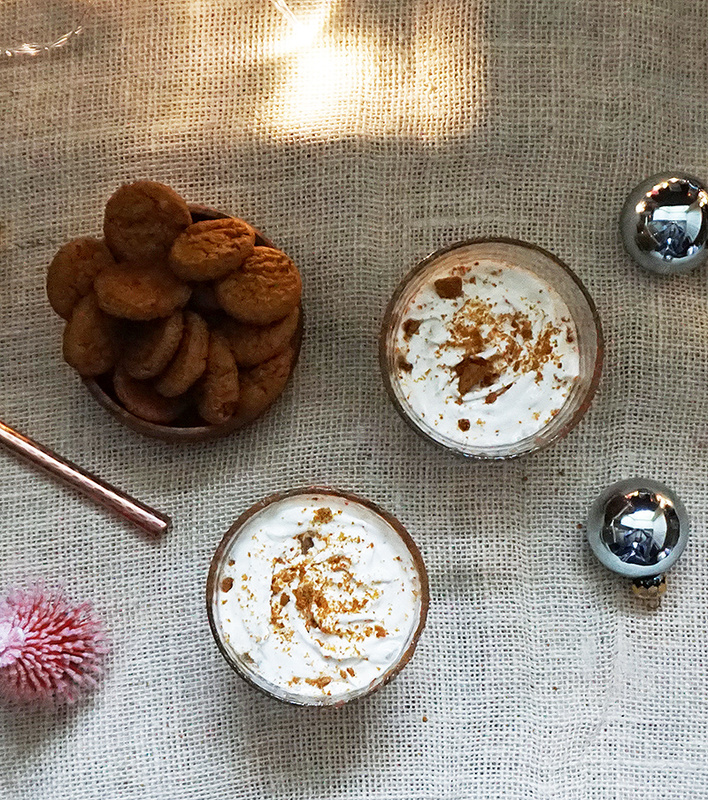 I’ve got a fun and fancy holiday-themed drink you can totally snag for your New Year’s Eve festivities. 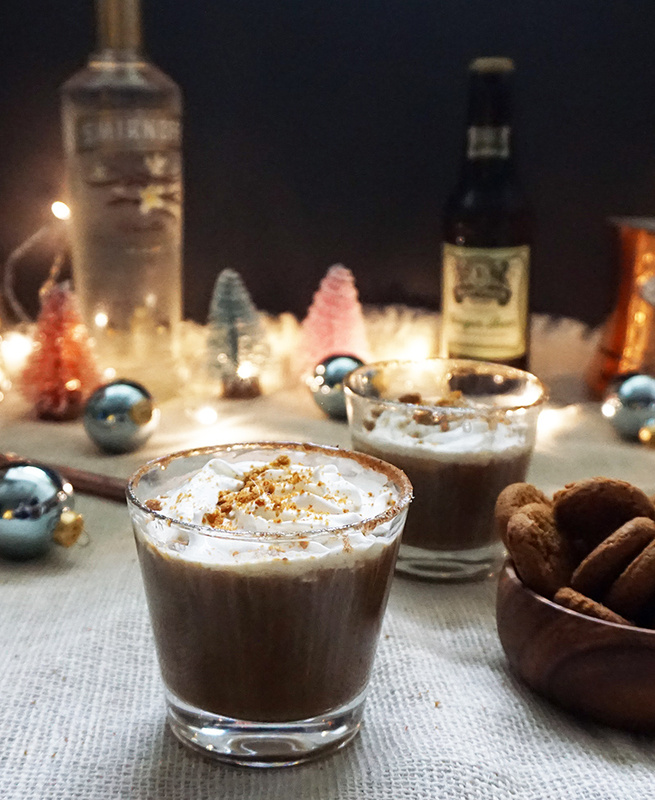 Get ready for a Gingerbread White Russian. Insert heart eyes emoji here, amirite? Speaking of, what plans do you have for New Year’s? I’ll be gallivanting around Chicago with no set plans outside of seeing John Oliver live. So excited! 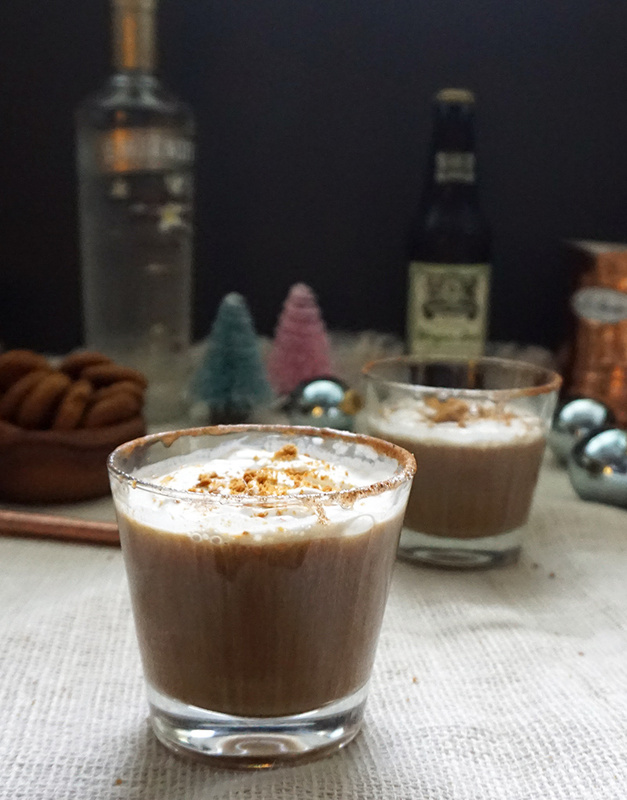 Oh, White Russians, how you taste so rich and decadent. I want so many of you, but you are too rich for mass consumption. Now you want to be flavored with ginger, too? 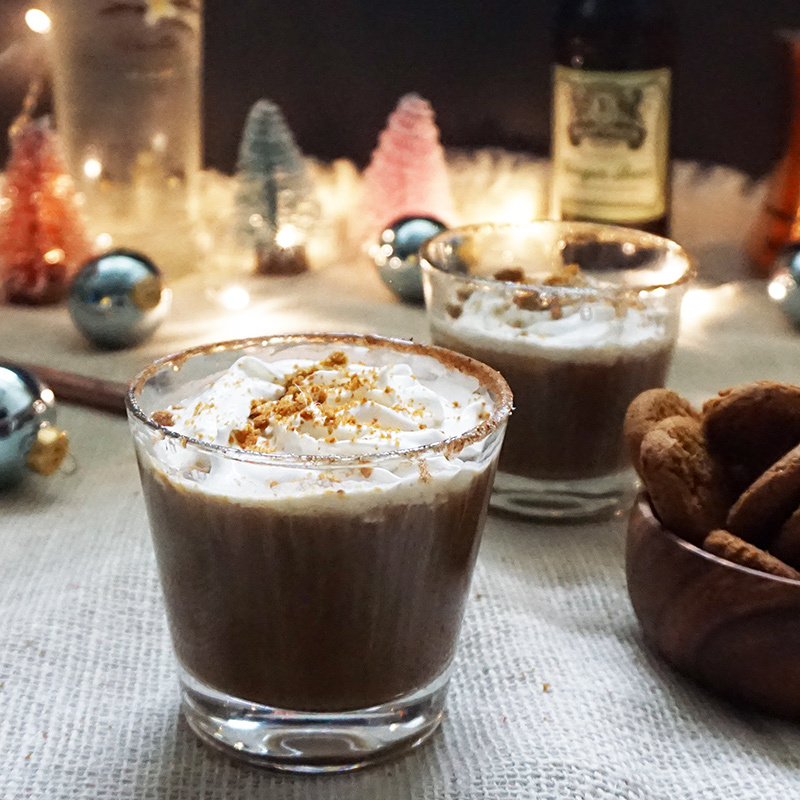 Gingerbread-style, you say? Well, who can resist you now? 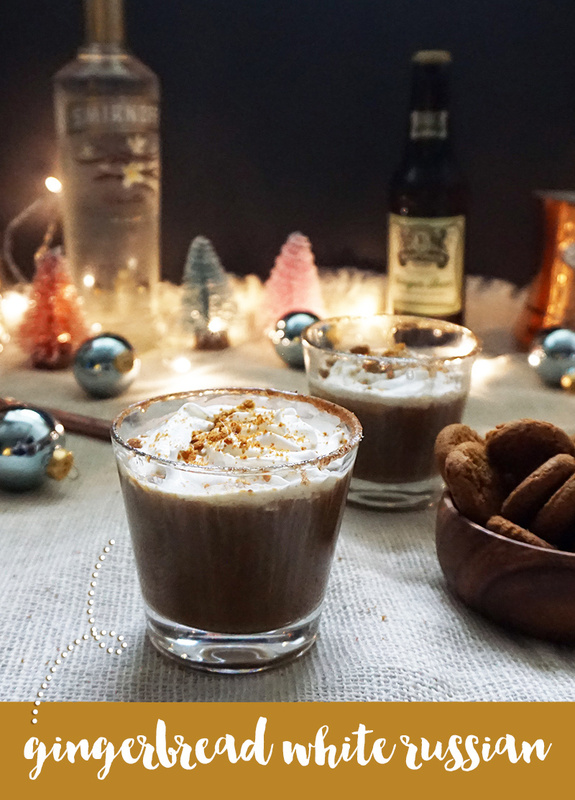 There are lots of ways to add ginger flavor to a traditional White Russian: gingerbread-flavored booze, ginger syrup, ginger ale, molasses, and tons of other ginger-flavored delights. I decided to go with ginger beer and swapped in vanilla vodka to give it a sweeter kick. 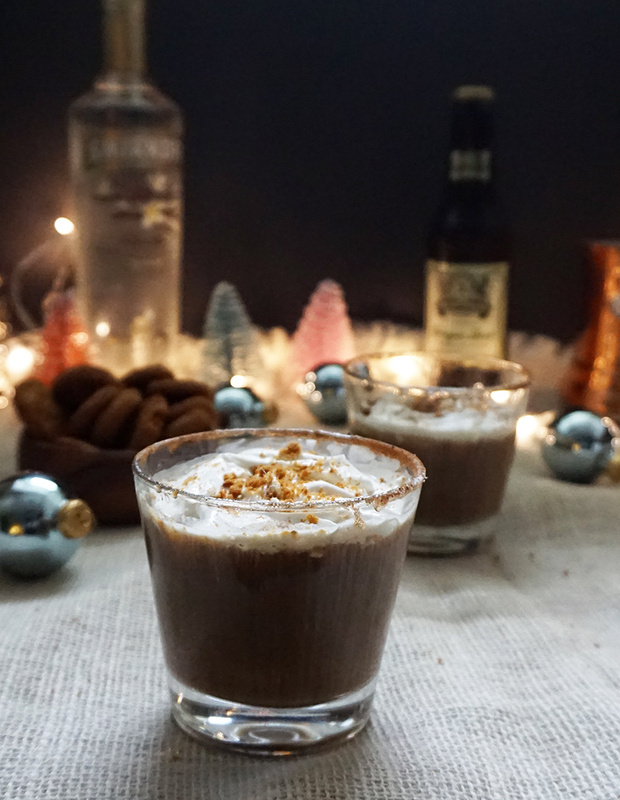 It’s just the right amount of dessert in my booze-y drink! 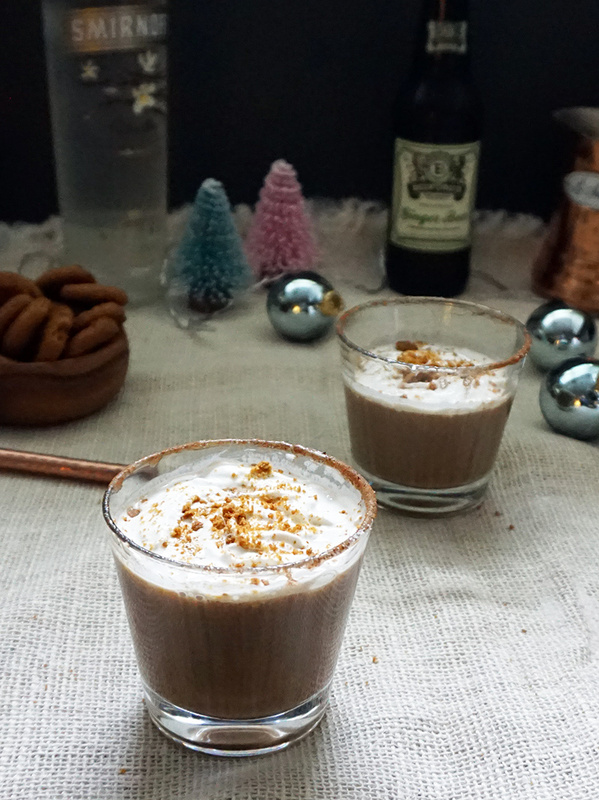 I think next time I’m going to somehow incorporate stout beer into this recipe. I don’t know how yet, but it’ll surely be a hoot while experimenting. I’ve got a few more cocktails and mocktails up my sleeve in the drinks archive, if you still need some New Year’s Eve drink ideas. In a cocktail shaker full of ice, mix milk, vodka, Kahlua, ginger beer, and ground ginger and shake. 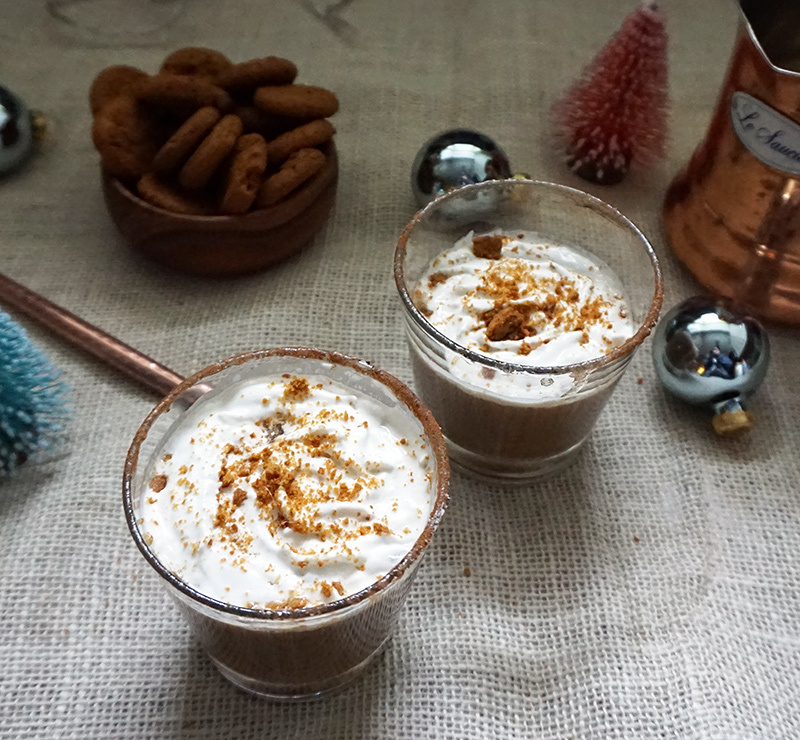 Top with whipped cream and crumbled ginger snaps and enjoy! Thanks, Marla! Let me know if you try it out. 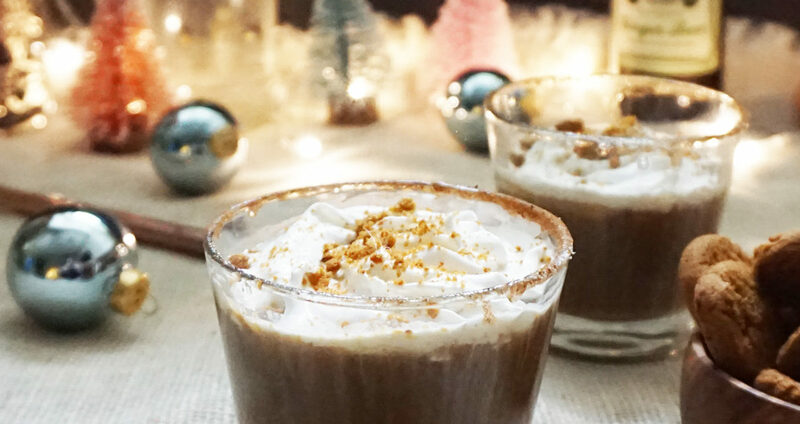 🙂 Your maple rum flip looks so fab!